Prominent & Leading Manufacturer from Pune, we offer erection insulation, erection and commissioning service, ms tanks, boiler components, fire grate and seamless boiler tube. Erection Insulation offeredinvolve erection support for refractory insulation that can be offered as per the specific working process requirements of industrial plants. Coming in superior construction designs, the insulation support offered come with advantages like low thermal conductivity & excellent thermal stability; superior resistance to heat shocks, optimum tensile strength, use of non-brittle material for superior flexibility, superior resistance to erosion thus providing for long service life, superior heat insulation and others. 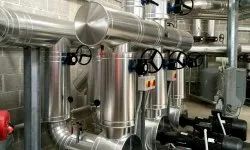 Coming developed using aluminum metal, these insulation solutions find use in industry sectors like gas turbine, high temperature equipment used in industrial sectors, in thermal insulation devices among others. Our goodwill in this industry can profoundly be attributed to our range of Erection and Commissioning Services. The offered service rendered with precision by utilizing top quality factor inputs & advance technology. We give our team regular training sessions which are which help them aware of latest market requirements of the clients. This erection and commissioning service is availed from us at reasonable rates. 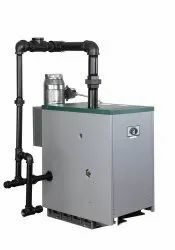 We are engaged in offering MS Tank which is manufactured keeping in mind the set industries standards. We provide a high quality of Boiler Components. We provide a high quality of Fire Grate. 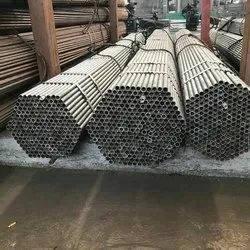 We provide a high quality of Seamless Boiler Tube.